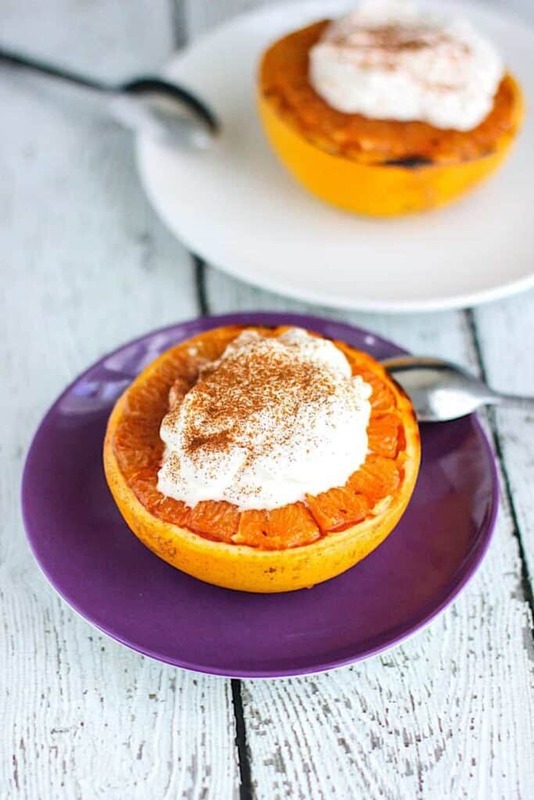 Broiled grapefruit is a tasty, healthy way to spice up your brunch or breakfast routine. I don’t know about you, but when I hear “grapefruit” the only thing I can think of is Aziz Ansari’s bit about how 50 Cent doesn’t know what a grapefruit is. Haven’t seen it? Here it is. Even better: 50 Cent insists that he knows what a grapefruit is, despite Ansari’s claims. 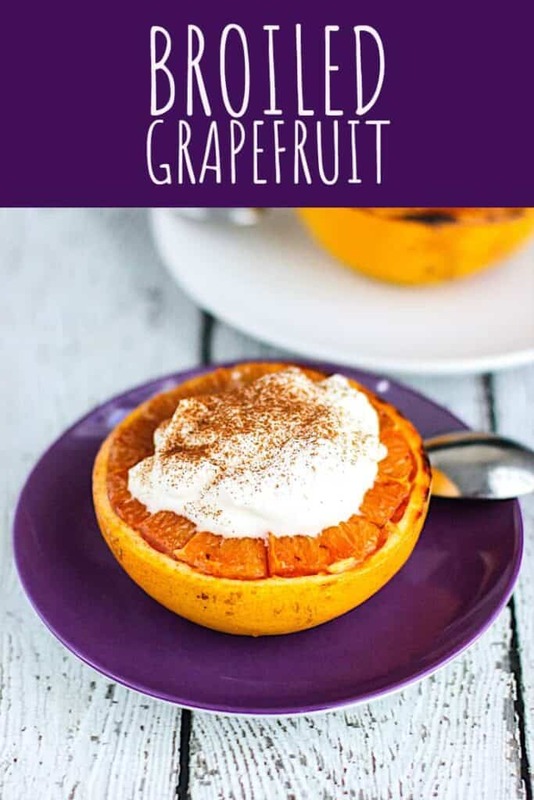 Ridicule of 50 Cent aside, these broiled grapefruits are an easy, healthy way to dress up a breakfast/brunch staple. 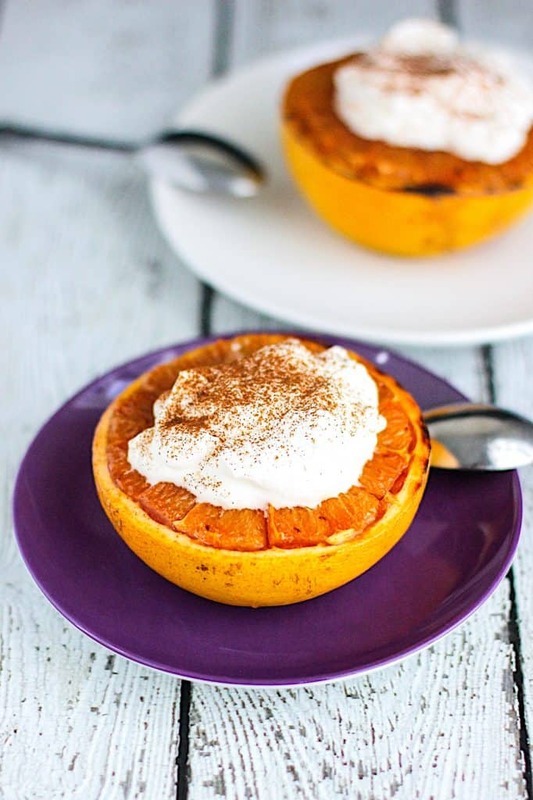 The brown sugar and whipped cream offset the natural tartness of the grapefruit, and the cinnamon really works with and complements the citrus flavor. Preheat the broiler to high. Line a baking sheet with foil and set aside. Use a paring knife to cut around the outside of the grapefruit and to separate the segments. 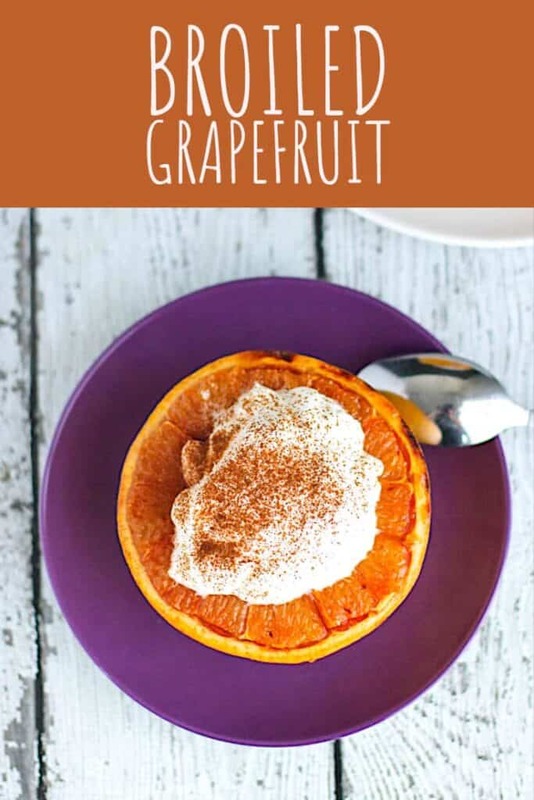 Sprinkle each half of the grapefruit with 2 tsp of brown sugar. Dust each half with a bit of cinnamon. Broil for 3-5 minutes, or until the brown sugar is bubbly and is beginning to caramelize. Keep an eye on it so that it doesn't burn. 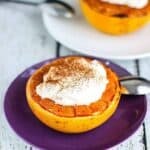 Let it cool for a minute or two before topping with whipped cream and a little more cinnamon. 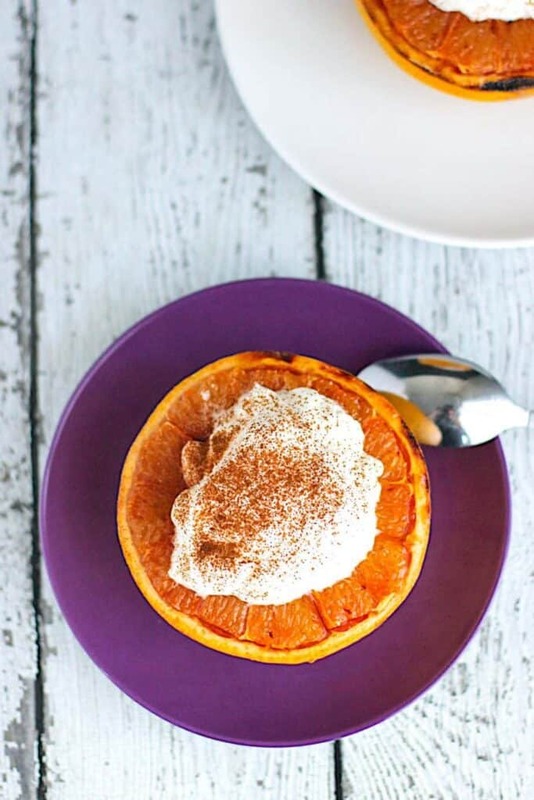 Need more grapefruit-heavy recipes? How about The Grapefruit Crush or Salty Dog Cocktail? Consider having one of these cocktails for a boozy brunch while you’re at it! Citrus fruit in the winter is where it’s at =). I’ll stop over and check out your salad!